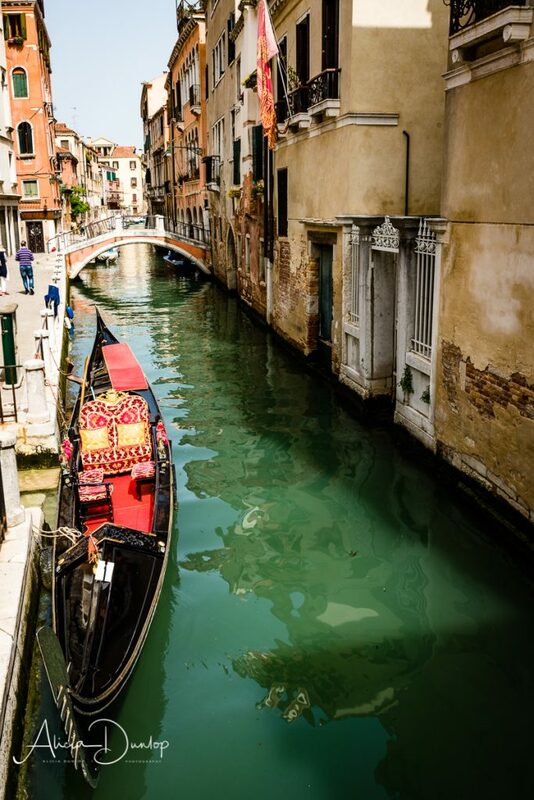 Visiting Venice, Italy has long been on my bucket list. I’ve always thought that there is something intriguing about this city. Some of my intrigue has been created by the many films and books that I have seen or read. The depiction of misty, narrow bridges and alleyways. Hidden piazzas, and decaying buildings. Something mysterious yet beautiful behind high walls. But most of my intrigue has been created by Venice’s long history. A past built on hard fought wealth, power and of course religion. 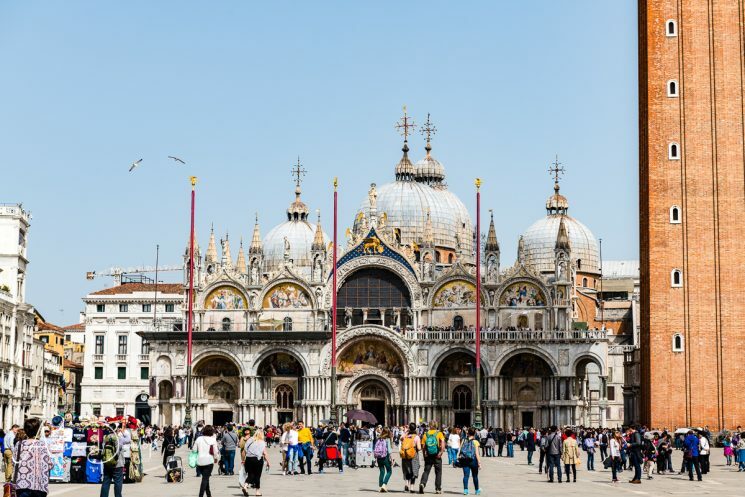 The impact that this history has had on the Venice we see today – in its architecture, art and the Venetian way of life – is something I have wanted to explore for a long time. In this blog about Venice in Spring, I will share what I learnt. I hope you enjoy it. But before I go one, time for a photo. San Simeone Piccolo stands on the banks of the Grand Canal in Venice, Italy. 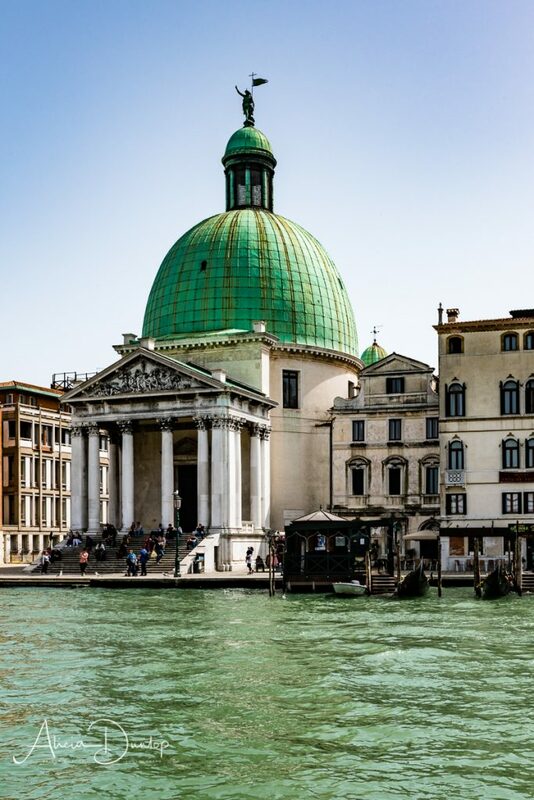 Venice is a city made up of 118 islands linked by over 400 bridges and 170 boat canals. 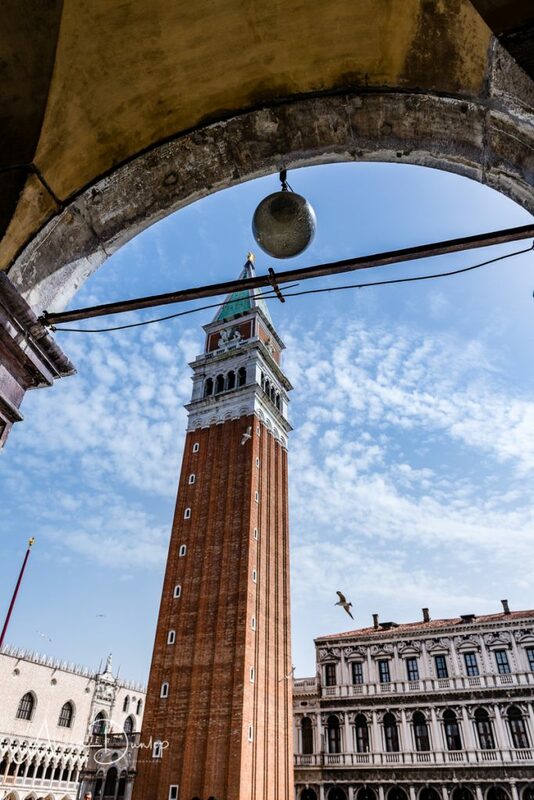 It is easy to get around around Venice without using the water boats or taxis – it is small enough to walk around. The Grand Canal in Venice is 2 miles long & shaped like an inverted S.
The origins of the Venice we see today, date back to the 7th century AD. Venice is built on millions of wooden stakes (circa 4 metres long) that have been driven into the marsh & sandy soils of the lagoon islands to form the foundations that the city is built on. I think that’s enough historically facts. There will be more later. First I’m going to tell you about our trip. Throughout this blog I will share some of the photos I took of Venice during out stay. Here’s another photo. My partner & I travelled in April on a 4 night city break. We were travelling on a relatively tight budget, so chose Mestre as our base. For our accommodation, we stayed at Hotel Villa Costanza. A lovely little 3 star hotel – very comfortable and clean with a great team of staff who really looked after us. Usually for ease when we travel, we hire a taxi to take us from the airport to the hotel. The cost of a taxi from the airport to Mestre was 35€. The cost of a meal. We discovered that this is a standard price all taxis charge. A private transfer by car costs 50€. However the bus from Marco Polo airport to Mestre bus station was 8€ each. As our flight arrived in the morning, this was the option we chose for our arrival. We walked the 10 minutes from the bus station to our hotel. We passed a supermarket and a couple of nice looking cafes. All used by the locals – always a good sign. I can’t fault the bus service. It was easy to buy the tickets from the baggage reclaim at the airport – there are numerous easy to use self service machines. The bus service ran on time. The bus was clean and comfortable. We were assisted with stowing our luggage safely on the bus. As our return flight was late at night, we took a taxi from our hotel to the airport. It was convenient and meant we were not worrying about walking through the streets of a foreign town that we didn’t know well at night. Have you found this useful? Next time, I will share some advice on getting about in Venice.